Cash or Receipts what will you do? Paying cash from building work is not the perceived benefit that it was with less suppliers accepting cash builders are stuck with how they could use their earnings. Portugal has had a very long and very active Black economy. The Portuguese government is trying to change this far too late to a shade of Grey and in fact since recent laws were passed in 2017 more and more companies are offering invoices when you buy goods and services. Just in case there was any confusion it’s also against the law to avoid tax payment. 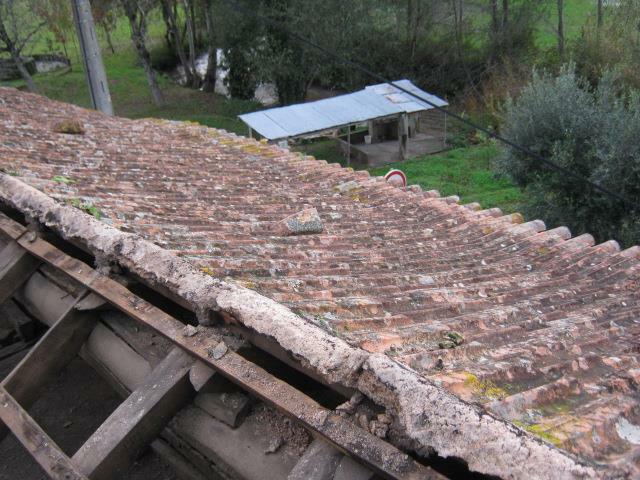 Why is this important to you when you are having construction work carried out in Portugal. This will be one of your greatest expenses when living here. There is a temptation for people coming to a foreign country to avoid “additional expenses” if they can. Castelo Construction looks at this from a different angle. We always provide invoices for work carried out. why is this important it’s important to you? Obviously no invoice no savings. Many people who when down the cash route ended up complaining that they had missed out on the 23% saving when it’s too late. Here’s a little money saving tip for free without you having to go down the Cash or Receipts route. 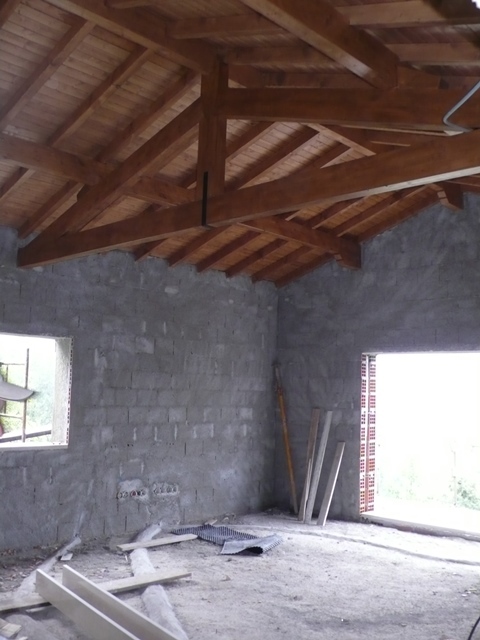 If you are going to open a bank account in Portugal to buy your property and carry out building work in Portugal make sure that they have a branch in your home country. For instance, Banco Santander Totta has this arrangement. Then all you have to do is open an account with them in the UK and carry out bank to bank transfers for FREE. La conception et la construction de ce toit sont très typiques des maisons portugaises construites au cours des 100 dernières années. Que devez-vous savoir si vous avez acheté ou achetez une maison au Portugal? Le toit est en bois. Le grand poteau rond en haut de la page est un arbre entier et il s’agit d’Eucalyptus. Le poteau rond inférieur sur la photo est une purge de toit et est également un eucalyptus. Cela nous indique que le toit a été remplacé dans le passé. Les solives de toit, inclinées de chaque côté du toit, sont également sciées en Eucalyptus et sont trop fines et trop minces pour être utilisées sur un toit, ce qui crée un toit qui se plie dans des vents forts et des tempêtes qui peuvent desserrer les tuiles et Cassez-les. Les lattes de tuiles sont faites de pin portugais et sont très sujettes aux attaques de vers de bois. Cela permet généralement à une tuile de se déplacer et permet à l’eau de pluie de tremper les solives et les pannes du toit où elles se rencontrent pour loger les murs. L’humidité pourrit les extrémités des solives et des pannes, provoquant l’effondrement des toits. Les tuiles sont souvent placées à un angle trop peu profond, de sorte qu’elles ne peuvent pas fonctionner correctement, ce qui permet à la pluie de retomber sous elles et sur la charpente, ce qui entraîne la pourriture. Vous remarquerez également sur la photo que vous pouvez voir la lumière du jour à travers les trous dans les tuiles. Ces espaces laisseront également tomber la pluie dans la toiture. Voici un exemple de toit que Castelo Construction a construit avec des poutres correctement dimensionnées qui dureront des générations. Gazebos, sun shades and garden rooms are very popular garden structures that we are asked to build in Portugal by our customers in Portugal. One of the interesting things for our craftsmen to work with is the different designs that our clients come up with. We are often given sketches ranging from a page out of a notebook to ripped out photographs from fancy coffee table magazines. Our job is first to talk through the design with the client so that we fully understand what they are trying to achieve. We then discuss the project thoroughly so they don’t miss any features which could be expensive to install later. We talk about the use that the structure is going to be put to. It could, for instance, be an outside dining room so the water supply and drainage for a sink would a nice addition then, of course, there is lighting both inside and out and even planting of shade and windbreak areas. As you can imagine it’s a pretty long list but because we have built many of these structures the process for us is straightforward. Garden shade structures fall into three main types. 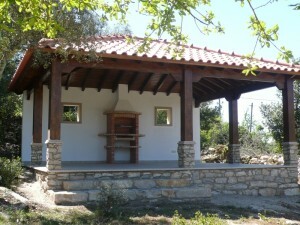 1, Structures with post or pillars and no waterproof roof. These are pergolas which will have plants or vines growing over them or straw, shade membrane or bamboo roofed so that they provide shade only. 2, Then there are the waterproof/ weatherproofed roofed structures which can also be on pillars or be surrounded on 3 sides by solid walls with roof materials ranging from timber shingles, roman roof tiles to glass. 3, The fully walled buildings with solid tiled roofs can be used as outside dining rooms, Moroccan style living spaces, Japanese tee houses. Ideal to sit and relax reading or chatting with friends. The goal is to keep out the weather rain, wind and sun. Pergolas are usually employed where the client wants to keep out of a prevailing wind, have dappled shade but are not interested in sitting out in colder weather or in the rain. They do allow a skilful gardener to make a very special relaxing hideaway with the use of screening and shade plants, They can be of an ultra-modern design or as traditional as you like incorporating ancient reclaimed chestnut beams, cartwheels, old olive jars and hand carved stone troughs as planters. There will occasionally be times when due to the foliage being affected by changing seasons the pergola will not provide enough shade. Gazebos and alpendres with a waterproof roof. The roofs can be tiled made of beaten copper, glass, in fact, anything that you can imagine one of my favourites is natural bamboo underneath the tiles as it reminds me of Bali. You can also hand linen cloth under the roof to give a Caribbean feel. Walls can also be made of all kinds of materials from cob (a mixture of earth and straw) rendered bricks, stone, timber or even sailcloth. The important thing is to choose the material to suit the purpose that you are going to put the structure too. If you are looking at year-round use you want to consider fire pits, chiminea to keep warm on winter nights.